Hewlett Packard - TouchSmart 610-1100UK HP TouchSmart 610-1100UK Desktop Series 616519-001 Avermedia Hobby2 F2 PCI-E Mini TV Tuner Card. Acer America - Aspire L320 L350 Acer Aspire L320 L350 Mini PCI TV Tuner Card MPC-718 TU.S5007.001 TUS5007001. 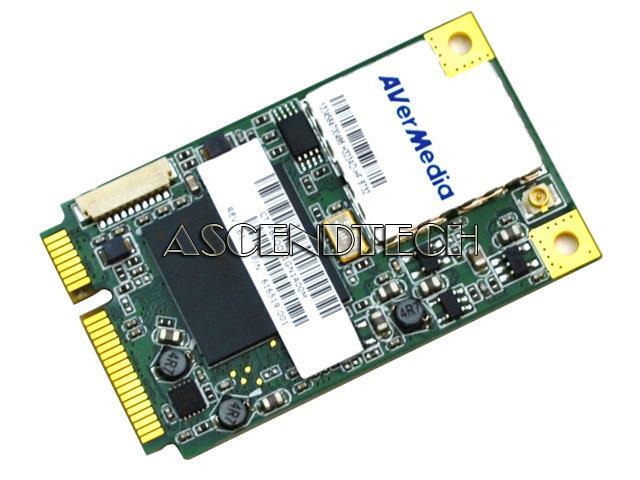 Acer America - Aspire X3900 X5900 Series Acer Aspire X3900 X5900 Series AVerMedia H751AD Internal PCI-Express Video TV Tuner Board Card TU.10500.046 0405H751-DMG.